Can major initiative led by Berklee solve music-rights problems? 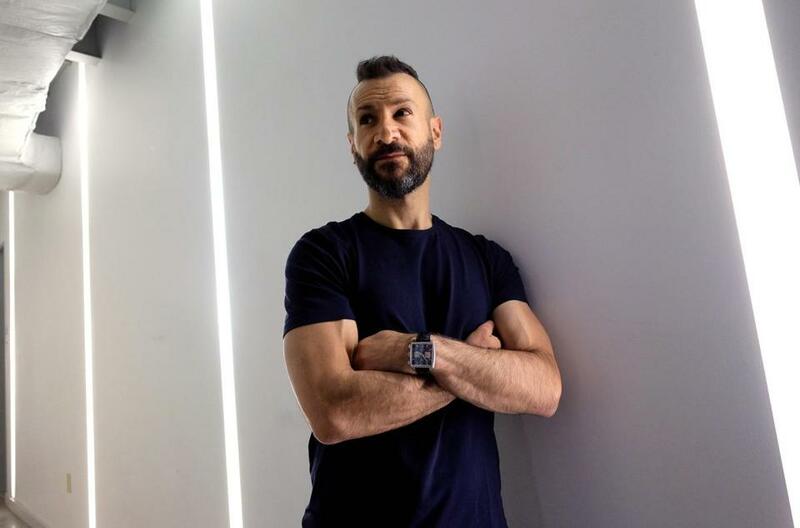 Panos Panay, cofounder of the Open Music Initiative, is uniting university researchers with major players in the music field. Wading into the murky waters of artist royalties in the digital age, Berklee College of Music is leading a broad-based effort to streamline how artists and musical rights owners are identified and paid for their work. The collaborative effort, led by the college’s Institute for Creative Entrepreneurship and dubbed the Open Music Initiative, seeks to create a uniform, open-source database that will link artists and rights holders to individual musical tracks – be they purchased for download, streamed, sampled, or used in personal projects, performances, or mash-ups. That, in turn, would help ensure the musician or the owner of the rights gets paid for the usage of the piece of music — potentially solving an overriding concern in the industry. The initiative includes researchers from the MIT Media Lab and University College London as well as other academic institutions. It has also garnered support from more than 50 media firms, including industry heavyweights such as the Universal Music Group, the Warner Music Group, Sony Music Entertainment, YouTube, Pandora, and Netflix. Panay said that a standardized platform was necessary because compensation plans and contracts have not kept pace with myriad technological advances in how people create and listen to music. The issue of licensing and royalties has emerged as a seemingly intractable problem in recent years, as music publishers and artists squabble with listening services such as Spotify and YouTube over compensation. The struggles often involve byzantine questions of micropayments or how labels and artists should be paid for third-party uses of their work, such as cover songs or user-generated videos that incorporate proprietary music. The effort is not the first of its kind, but Panay said the support of music industry leaders and listening services — companies that have found themselves at odds over licensing and royalties — would be critical to its success. “A music label could build a dashboard that shows an artist real-time usage of their songs,’’ Panay said of one of many possibilities of future applications developed after creating a database. Panay said the initiative’s database will ultimately serve as a foundation for future applications. Zoë Keating, an independent cellist and composer, said that as revenue from traditional sales has decreased, the money from performances, commercial licensing, viral videos, or even performance pieces that incorporate her music has become increasingly important to her income. Keating added that a database like Open Music Initiative could facilitate payments for those smaller projects, potentially encouraging more collaboration among artists. The initiative will convene its inaugural meeting on June 22 in New York, with a subsequent three-week innovation lab in Boston in July. The effort was cofounded by Michael Hendrix, a partner at the global design and innovation company IDEO, which will provide operational guidance for the initiative. Context Labs, a media technology company, will coordinate the project’s technical platform.